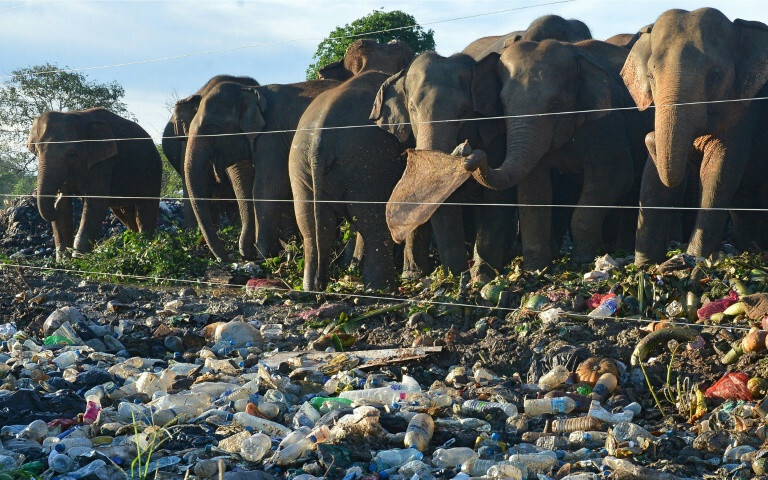 COLOMBO: At a garbage dump in central Sri Lanka, a herd of wild elephants forage among a mountain of rubbish, swallowing dangerous scraps of plastic mixed with rotting food in what experts warn is an increasing problem for the revered animals. 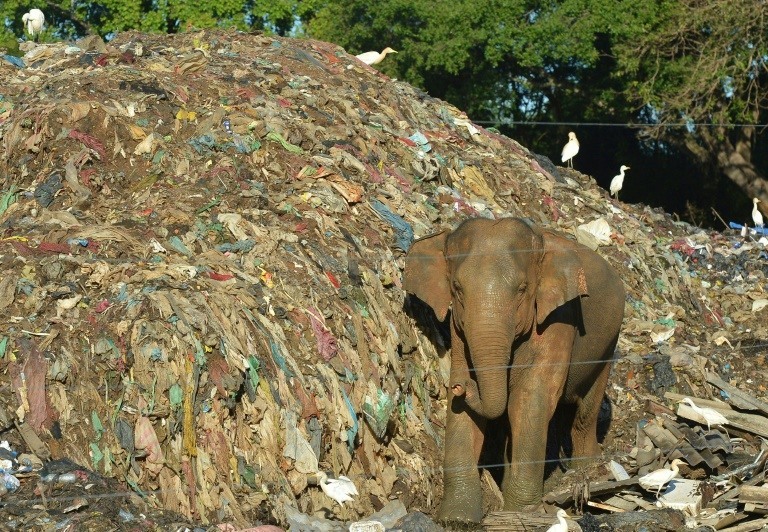 Due to illegal dumping near wildlife sanctuaries, hundreds of Sri Lanka’s estimated 7,500 wild elephants now scavenge at rubbish tips and many are being made sick by what they eat, Jayantha Jayewardene, an expert on Asian elephants, said. 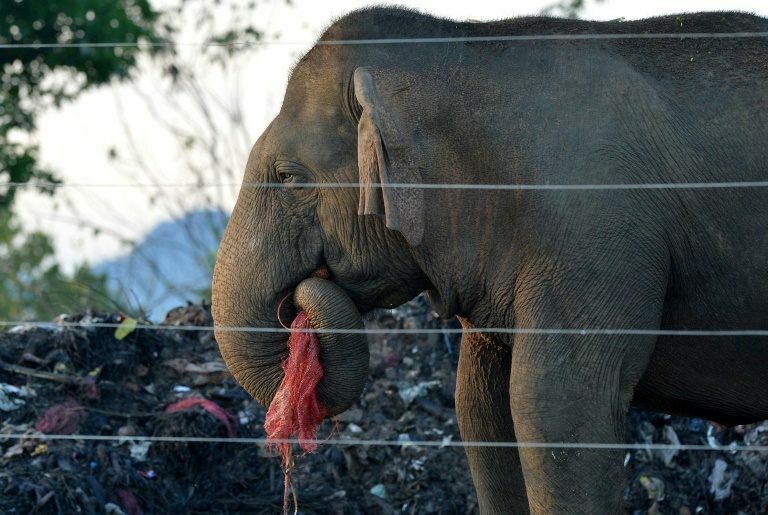 “Sri Lanka considers elephants to be a national treasure, but we see these animals reduced to eating rubbish,” Jayewardene told AFP Thursday. “These elephants no longer forage in the jungle. They are like zoo animals. It is a sad sight to see national treasures picking through rotting rubbish,” he said. The government has ordered electric fences to be erected around more than 50 dumps near elephant habitats to keep the roaming beasts away. Some have not been put up while others are ineffective, according to local residents.